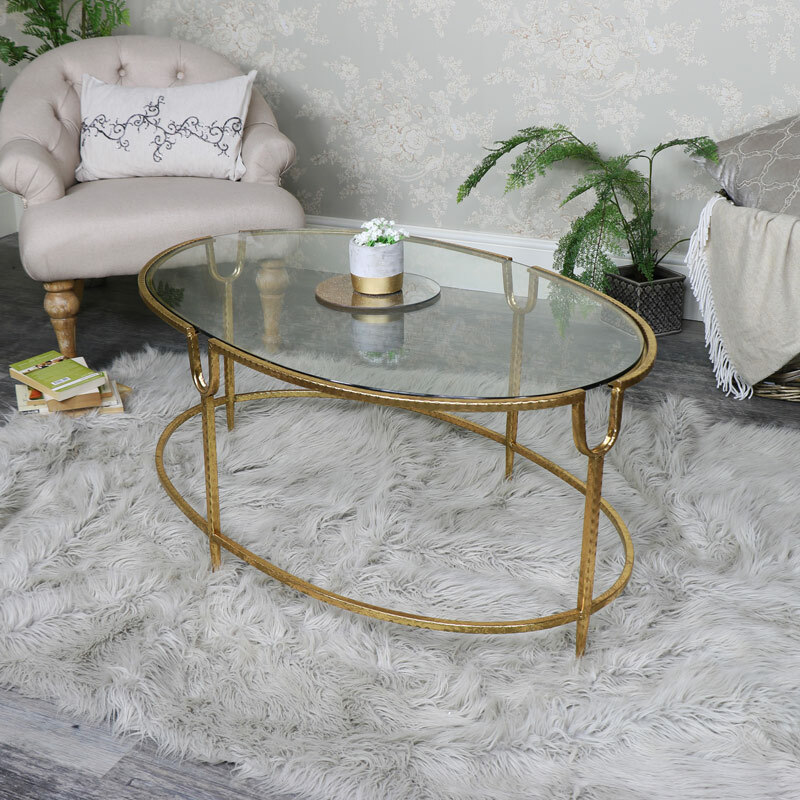 Breathe some new life into your living room decor with this stunning coffee table. 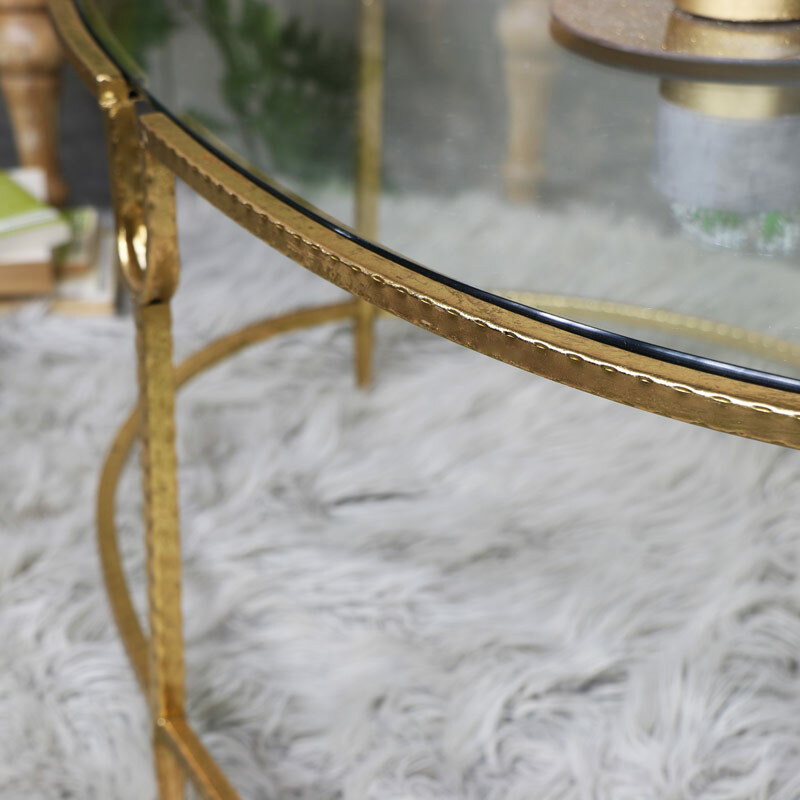 Oval design with a gold metal frame and clear glass top. 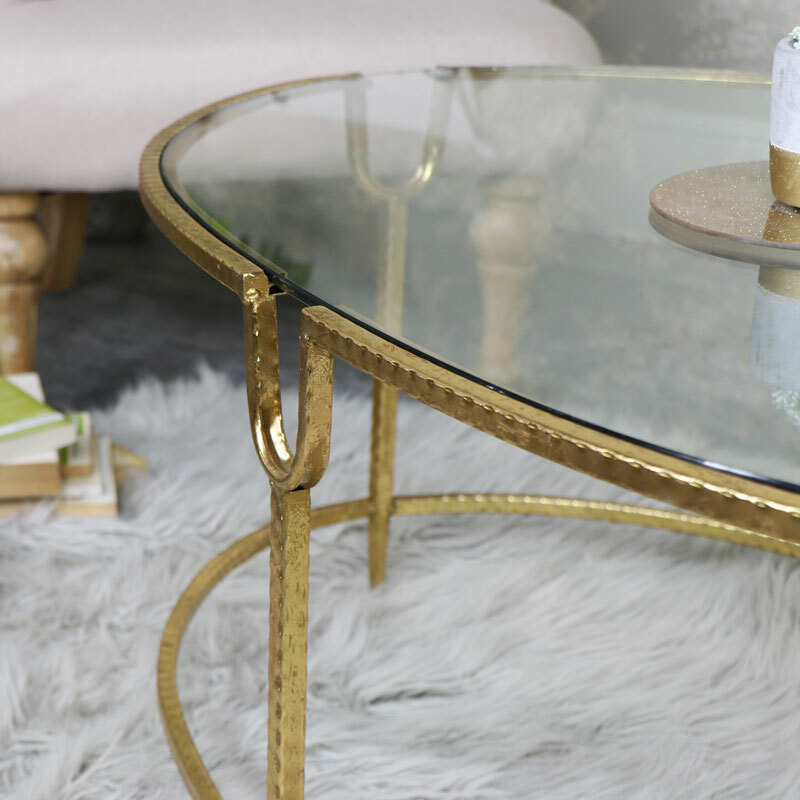 This table will easily fit in with a vintage, modern or traditional style interior. The gold frame features a dimpled effect and ornate moudling that gives a hint of the art deco feel. 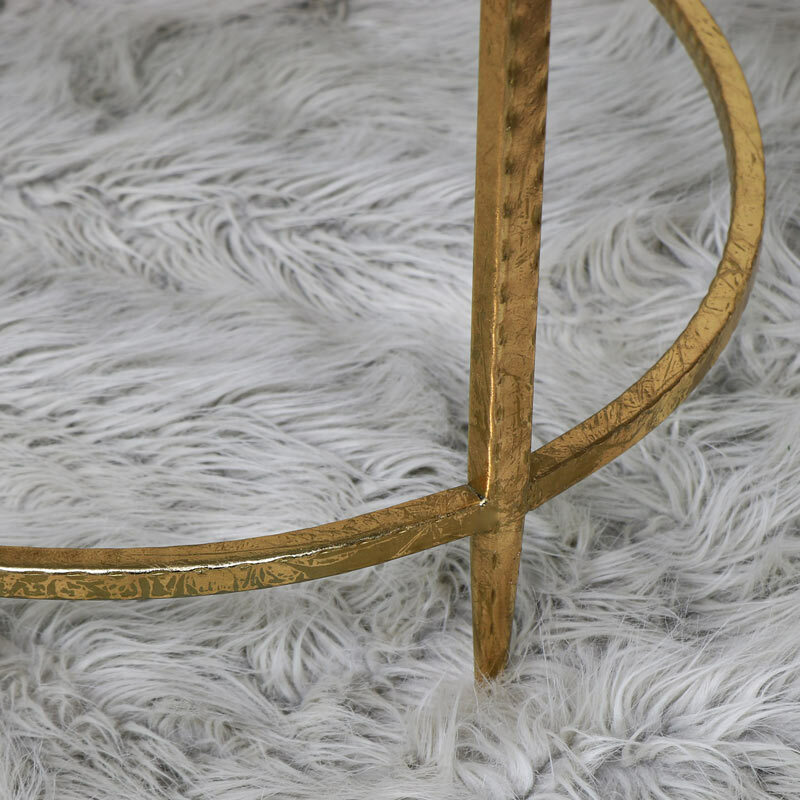 Vintage inspired, this piece will add the finishing touch to a living room space. 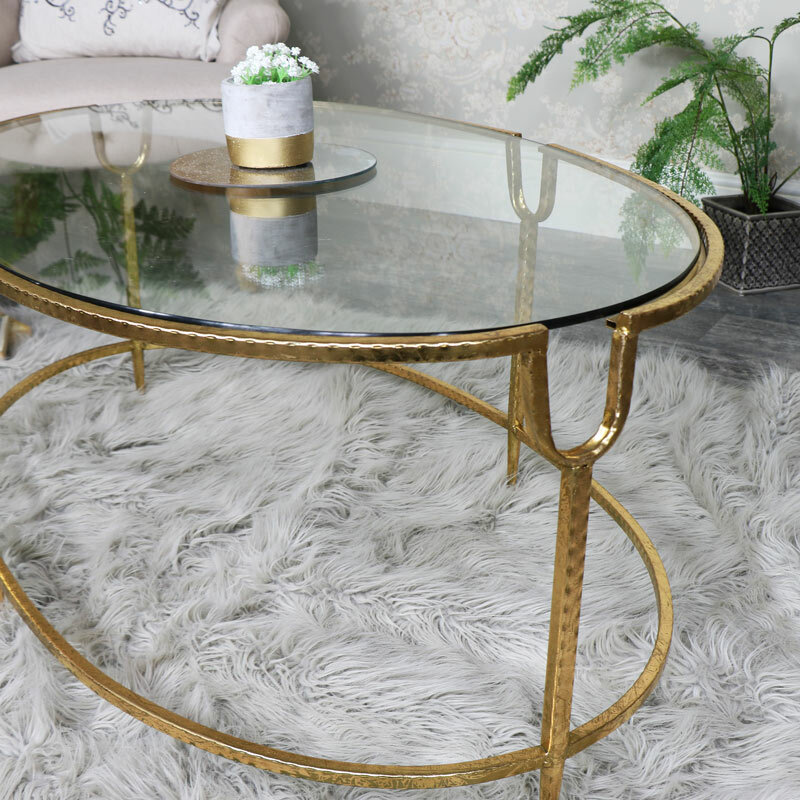 Crafted with sleek tempered glass, this coffee table is bold and beautiful for your home.